SCOTTSDALE – Bud is a burgeoning business in Arizona. Revenue from medical marijuana in Arizona more than tripled year-over-year in 2014, leading to a variety of individuals trying to find a fortune among the green. The Marijuana Companies is just one of the businesses trying to capitalize on the growing industry. "At some point, marijuana is going to be legalized, that's just the trend that I see," company spokesman John Gorman said. Since the Scottsdale-based company went public in March, Gorman and the employees at The Marijuana Companies have worked hard to create what they call an online marijuana hub, a one-stop-shop for anything marijuana related, whether it's finding a dispensary, a recipe or even a date. Arizona voters in 2010 passed the Arizona Medical Marijuana Act, which allows people with certain medical conditions to use medical marijuana after obtaining a doctor's recommendation. In 2014, the department estimated marijuana sales generated $112 million in revenue, according to the Arizona Department of Health Services. The industry will continue to grow as more people obtain medical-marijuana cards. Efforts to legalize marijuana have been generally unsuccessful in Arizona, though one state lawmaker is attempting legalize the drug and has introduced a bill to do so. However, it doesn't have much support at the Legislature. With so much cash at stake, companies have flocked to Arizona to cultivate and sell medical marijuana. But it also has opened up other opportunities. For example, The Marijuana Companies Joint Lovers venture is a website designed to help marijuana users find love and friendship based on their mutual love for the drug. The company also offers marijuana-infused recipes at MarijuanaRecipes.com and recently purchased 420 Careers, an online database for finding jobs in the marijuana industry. The company offers more than 12,000 marijuana-related domain names for rent as well. "I'm sure we will be a major hub," said Howard Baer, founder of The Marijuana Companies. "It's one thing to put a listing in a directory, but our clients can advertise on all of our sites, and they all link into each other." The company's first product, Weed Depot, premiered in November and offers a service for both marijuana consumers and businesses nationwide. Similar to other national services like Leafly and WeedMaps, Weed Depot lists marijuana dispensaries near an individual in U.S. locations that allow it. The site also shows some of the services the dispensaries offer, including the strains of marijuana they carry and available food products. The non-profit status of dispensaries in Arizona makes advertising and marketing extremely difficult here. This has given The Marijuana Companies an opportunity to help dispensaries reach their key demographics, company officials said. Dispensaries have little reason to use general advertising, said Anthony Evans, a senior research fellow at the L. William Seidman Research Institute at the W. P. Carey School of Business at Arizona State University. "All a dispensary can do at present is sell medical marijuana to qualifying patients, and (they) are not allowed to sell it to anybody else," he said. Since medical marijuana became legal in Arizona, only 60,000 people have obtained medical-marijuana cards, according to the Arizona Department of Health Services. Evans said the industry has strong growth potential based on studies he's read showing marijuana's popularity among Arizonans. 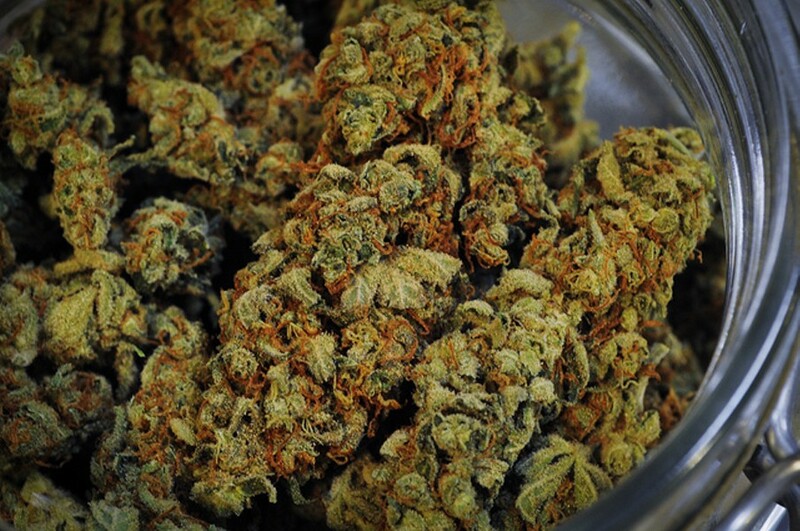 In 2014 alone, 85 dispensaries opened, according to the health department report. Evans said the market will only increase if the state adds more medical conditions.